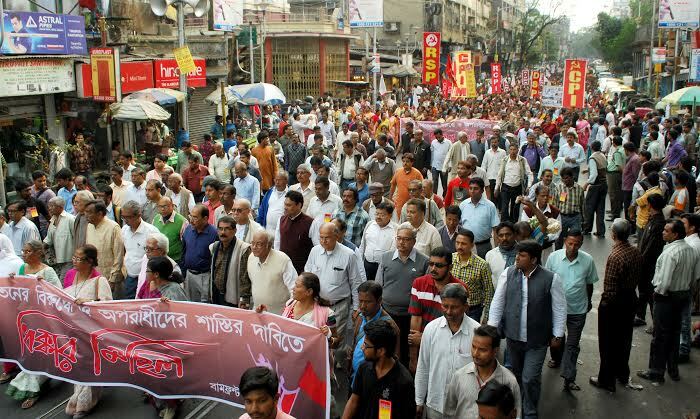 Left Front leaders of Kolkata District have submitted a memorandum to the West Bengal Governor raising several burning issues of the people. 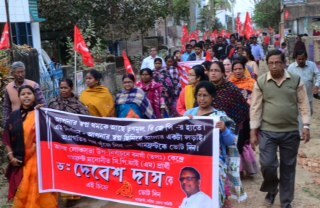 The charter submitted on September 10 which has been endorsed by the signatures of around four lakh people demands of both the Central and State Governments to take immediate measures to control the price rise of commodities; supply of 35 kg of food grains @ Rs.2/- per kg to each family per month through the PDS; adequate steps to check illegal hoarding of essential commodities; ban on forward trading etc. 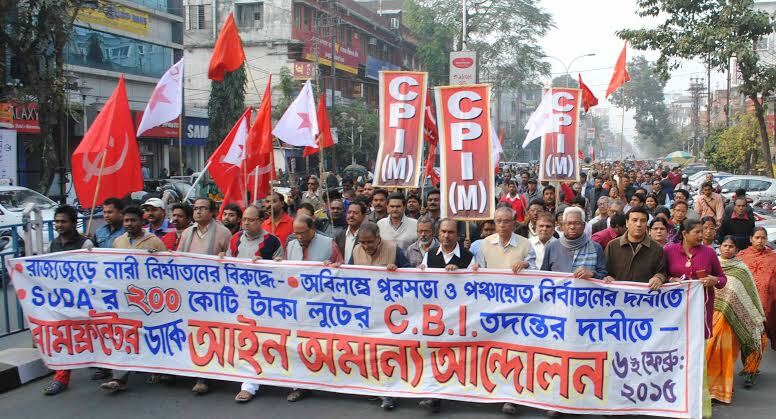 On the occasion a large number of people gathered at the Rani Rashmoni Road, Esplanade area in Central Kolkata. Md. 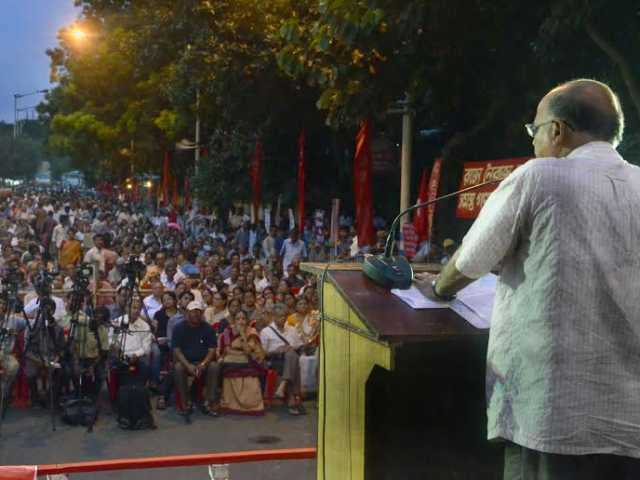 Salim, CPI(M) MP addressed the gathering and said that there is no difference between Central and State Governments as far as the tackling of these issues are concerned. 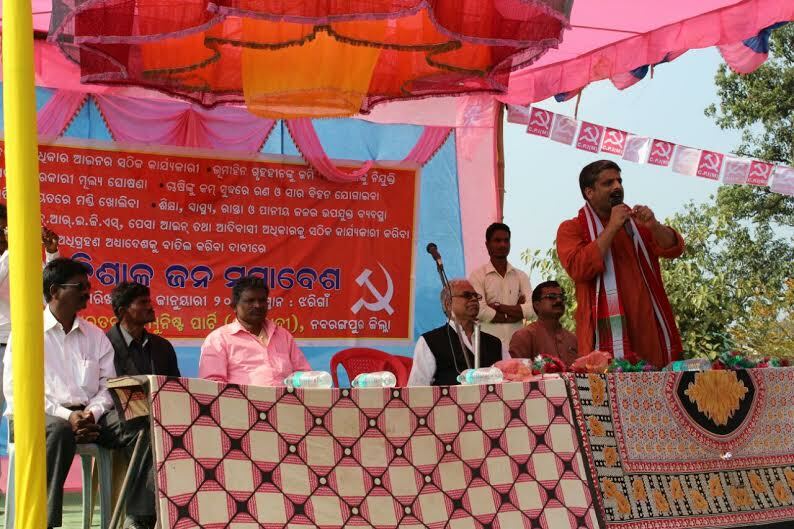 During last few years many Chit-Fund companies have looted huge sums of money from the common people. 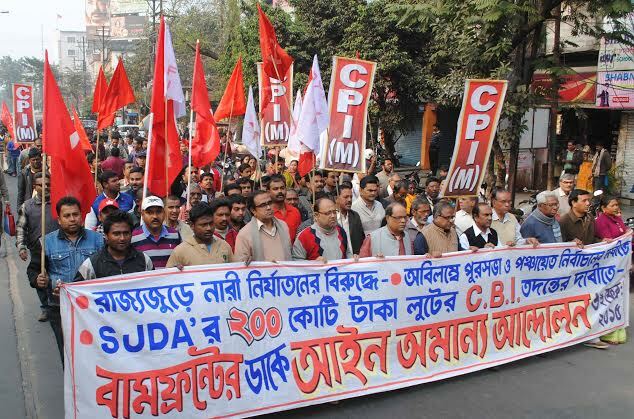 Now it has been clearly exposed that TMC leaders and Ministers are directly involved in such illegal activities and such ill gotten wealth has gone into its coffers also. 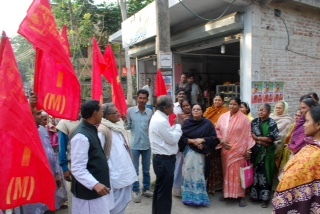 He demanded that the Enforcement Directorate should confiscate the properties of the chit fund companies and repay the amount to the poor people. 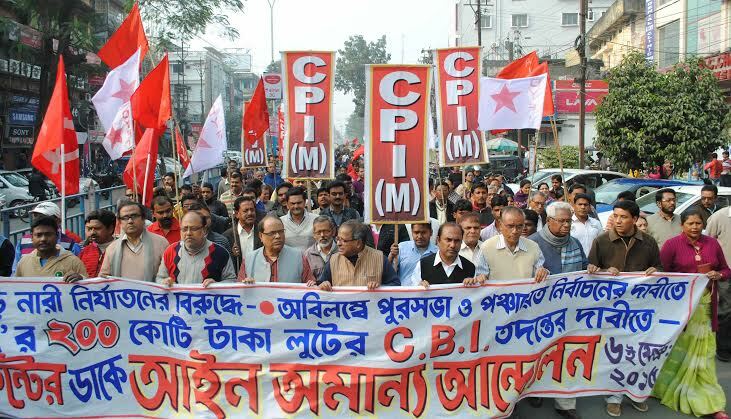 Rabin Deb, CPI(M) State Secretariat member, addressing the gathering said that while on the one hand the TMC ruled State Government is gradually increasing unnecessary expenses, on the other hand it is reducing the salaries of its own employees. 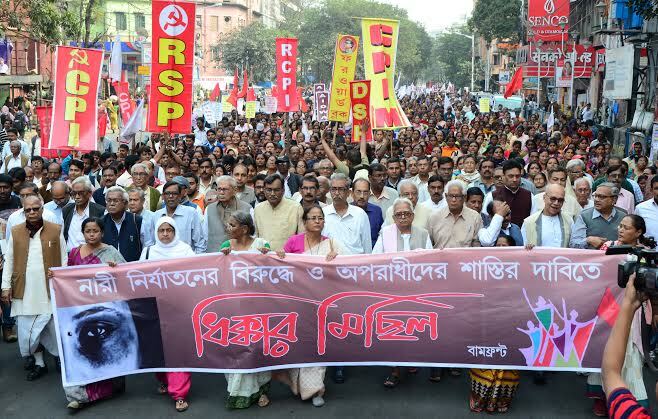 He pointed out that there was a loan of rupees 1,80,000 crore during the 34 years of Left Front Government, but the present TMC ruled Government has taken a loan of rupees 82,000 crore within 40 months of being in office. 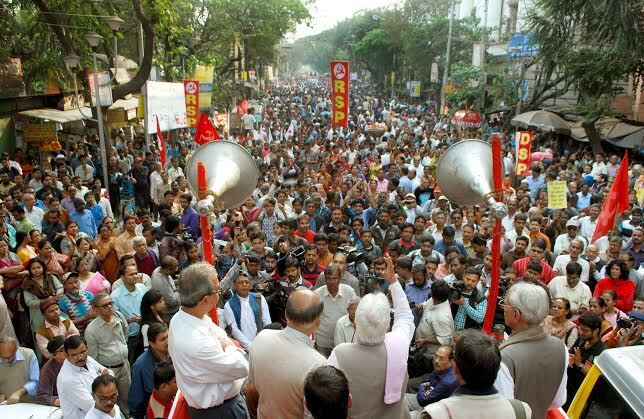 Rabin Deb if the demands raised by them remain unresolved, in the days ahead the Left front will mobilize people on a much bigger scale.